Provide comfort for the family of Jake Burrell with a meaningful gesture of sympathy. 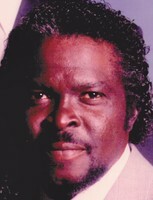 Mr. Jake Peter Burrell, Jr. a lifelong resident of Mobile was born on July 27, 1944 and departed this life on Wednesday, March 20, 2019 at a local hospital. In his early career Jake worked as a Seaman. He later retired from the Alabama Drydock and Shipbuilding Company after serving twenty-one years as a crane operator. He loved his family and cherished his wife Josephine (Cat) who passed away on the same date twenty years ago. He was preceded in death by his wife, Josephine Pettaway Burrell,a son Maurice Burrell, his father, Jake Peter Burrell, Sr., his mother Ida Mae McDowell, stepfather, Marcellous McDowell and step-mother, Minnie Lee Burrell. He leaves to cherish his memories two sons: Derric (Latranza) Burrell, Sr. Axis, AL. and Michael Burrell of Riverview, Florida; seven brothers:James E. Burrell of Mobile, AL., Myles (Vicki) McDowell of Apple Valley, Minnesota,William (Eunice) Burrell, of Mobile, AL. Lavern (Ella) McDowell, of Mobile, AL., James (Vernita) Burrell of Mobile, AL., Douglas Burrell of Mobile, AL., Peter (Yvonne) Burrell, of Hampton, VA.: three sisters: Marie (Richard) Peavy, Lillie Burrell and Dorothy Burrell all of Mobile, AL. ; four brothers in law: Joshua (Minnie) Pettaway, Curtis (Sonda Faye) Arnold, all of Mobile, AL., Lee Dell Pettaway, Houston, TX., and Isaiah Arnold of Detroit, MI. ; two uncles: Robert Gardner, of Selma, AL. William (Carol) Gardner, of Tuscaloosa, AL. ;two aunts: Willie Mae Thomas of Tuscaloosa, AL., and Ruth McCall of Mobile, AL. ; four grandchildren: Dianca Burrell and Derric Burrell Jr., both of Mobile, AL. Daniel Burrell, and Lauryn Burrell both of Axis, AL. ; two great-grandchildren: Devaughn Burrell and Jaylee Burrell, both of Mobile, AL. ; one God-sister Lorena Blair of Mobile, AL.and a host of nieces, nephews, other relatives and friends, three devoted :Sam (Catherine) Roberts, Timothy Poellnitz and Wayne Goodman all of Mobile, AL. To send flowers in memory of Jake Peter Burrell Jr., please visit our Heartfelt Sympathies Store. We encourage you to share your most beloved memories of Jake here, so that the family and other loved ones can always see it. You can upload cherished photographs, or share your favorite stories, and can even comment on those shared by others. Provide comfort for the family of Jake Peter Burrell Jr. by sending flowers. My condolences to the Burrell families. I'm sorry to hear about the loss of dear Jake. Some Bible scriptures that have helped me during times of loss include Isaiah 26:19 and Psalm 37:28,29 which states in part: "Your dead ones will live...They will rise up". And the Bible also says "The righteous themselves will possess the earth and they will forever reside upon it". Therefore the Bible promises that we may be reunited with our loved ones lost in death by means of an earthly resurrection. This is further confirmed by John 5:28,29 which says "Do not marvel at this, because the hour is coming in which all those in the memorial tombs will hear his voice and come out". This is possible thanks to Jesus Christ's ransom sacrifice. Thus we have a genuine hope of everlasting life in a world without wickedness or suffering.